Fog fills and covers the landscape over Horseshoe Park on a beautiful winter morning in February. 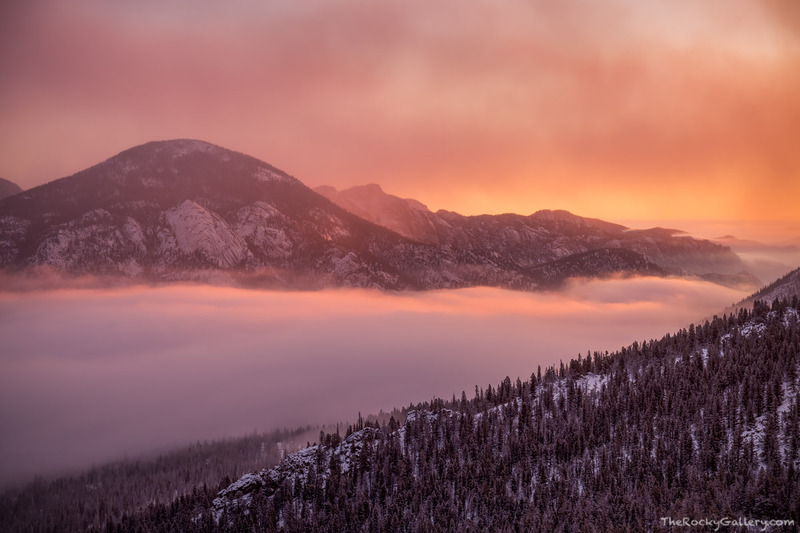 Rocky Mountain National Park does not see a lot of fog but when it does the landscape is transformed into a magical and mysterious place. Photo © copyright by Thomas Mangan.